A reflection of their geographic journey, the Al Janabi’s catering business is both a culinary homage to the countries of their path, and symbolic of their perseverance, ability to reinvent and flourish in a new environment. Founded in Australia, the fourth country the family have resided in a 15 year period, the Al Janabi’s Family Food offers a catering repertoire that includes dishes of Iraqi, Syrian and Turkish origin. Family Food utilises the Al Janabi family’s vast experience in the food and hospitality sector, past and present. Each with their own role and specialty dishes, Family Food is comprised of Mr and Mrs Al Janabi, and their three children; Aiman, Vivien and Matheel. “My mother is the head cook. She can cook anything. Sometimes we have such big orders we all work together at the same time. I cook the filling, my mother cooks the rice, Aiman cooks the chicken. Vivien makes the sweets. And my brother and father cook and often make the deliveries” Matheel explains. 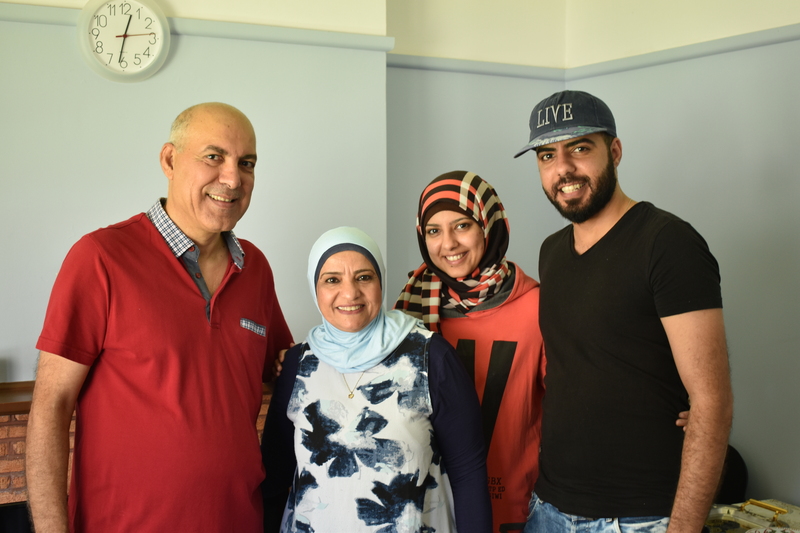 Drawing on the experience of Mr Al Janabi, who owned a restaurant in Baghdad for over twenty years, Family Food also benefits from local insight and knowledge through working with Sydney based cafe and social enterprise; Parliament on King. Vivien, Matheel and Aiman gained unique exposure to the Australian hospitality industry, and cafe scene by working in the cafe, and providing catering for Parliament on King special events. Constantly evolving, the Al Janabi family are shortly embarking on a new journey. Soon to be renamed Heart of Baghdad the family plan to focus and celebrate the cuisine of their region in Iraq. “Iraqi people don’t care if they have money for tomorrow, as long as they have food” smiles Matheel. This is the ninth post in a special series dedicated to my collaboration with Settlement Services International in the lead up to their annual New Beginnings: Refugee Arts & Culture Festival during Refugee Week 2017. A big, warm thank you to the SSI staff and volunteers who have assisted in the project collaboration so far. I acknowledge the Traditional Owners and Custodians of the land I live and work on, the Gadigal-Wangal people of the Eora Nation.